Add Kyle23 as a preferred driver on FARE! Half your tips are donated to Keep Austin Beautiful! 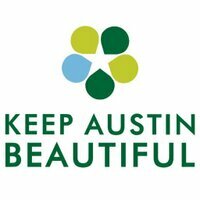 I drive for Keep Austin Beautiful because the environment is something we all share. KAB provides resources and education to engage citizens in building more beautiful communities. KAB was an indirect reason I started driving for Lyft back in 2014. I wanted an excuse not to party so I could wake up fresh Saturday morning to volunteer. However, the plan to drive Friday nights, donate the proceeds, and wake up to volunteer backfired when I started spending all my time developing this site and couldn't volunteer. Thus, I feel obligated to support KAB as my first RideCares cause! Please click here if you'd like to make an additional contribution directly to Keep Austin Beautiful. Please use the links below if you'd like to make an additional contribution to Keep Austin Beautiful. Try Lyft! Try Fasten! Try FARE! Try Uber!